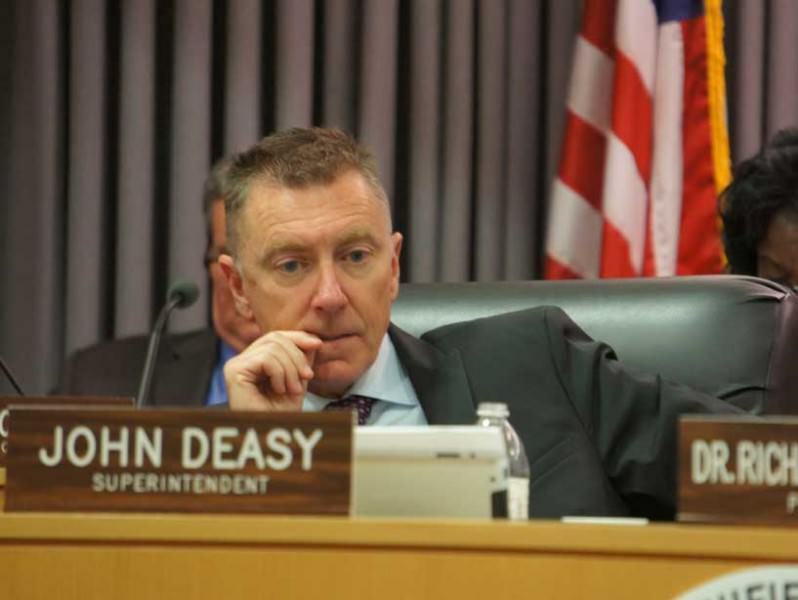 John Deasy, the beleaguered superintendent of LA Unified, the nation’s second-largest school district, is expected to step down as soon as Thursday, according to five district and school board sources with knowledge of the situation. After weeks of negotiations between lawyers for Deasy and the seven-member board, he submitted his resignation and signed a separation agreement that brings an end to his employment, well before the 30-day grace period he would have had in a case of dismissal by the board, sources told LA School Report. The district is expected to make the announcement, perhaps as early as tomorrow morning. It is also expected that one of his chief deputies, Michelle King, will be named the interim superintendent while the board begins a search for a permanent replacement. Deasy, who succeeded Ramon Cortines in 2011, is LA Unified’s fourth superintendent since 2000. The board several weeks ago had authorized its lawyers to begin negotiating a separation agreement with lawyers for Deasy. The final terms of the agreement were reached in the last day or so, with Deasy in South Korea on an cultural visit, said sources, all of whom spoke only on the condition of anonymity because of the sensitive nature of the issues and legal restrictions against discussing a private matter. Deasy was scheduled to return to Los Angeles by the end of this week. He did not attend the most recent board meeting yesterday, which included closed-door discussions of his employment status. He was unreachable tonight for comment. Deasy’s resignation after three years as superintendent brings to an end a volatile but productive period in the district with his tenure marked by dramatic improvement in student academic measures yet traumatic developments in programs undertaken by his administration, all at a time budget restraints have limited the district’s ability to support more personnel and programs. He has made no secret of his growing frustrations with a board that has often been at odds with his approach to public education, more so since the school board elections of 2013 and last August reduced the number of members who supported his vision. That vision — the belief that quality public education is a civil right — came to include his championing of a program to deliver an iPad to every district student. More than anything else, problems with the iPad distribution came to symbolize the collision between vision and reality, starting a drumbeat for his dismissal. Nor was he helped by testy relations with the teachers union, UTLA, which has been a steady critic from the start of his tenure, most recently over his unwillingness or inability to raise teacher salaries to levels they are seeking in negotiations for a new contract.